Ole Gunnar Solskjaer suffered a second consecutive defeat for the first time in his Manchester United reign, as Nuno Espirito Santo and his Wolves team emerged deserved victors from an entertaining FA Cup quarter final at Molineux. After a goalless but evenly matched first half, the hosts stepped up their performance in the second period – and took a merited lead when Raul Jimenez spun in the United area and drove a hard and low shot past Sergio Romero in the visiting goal with 20 minutes left. The dangerous Diogo Jota doubled the hosts’ lead with another rasping shot five minutes later, and although Marcus Rashford pulled one back for United in added time, it proved too little too late. Wolves head into a semi final against Watford – their first in the FA Cup in 21 years – while United are left to focus on the battle for the top four and a Champions League quarter final against Barcelona. 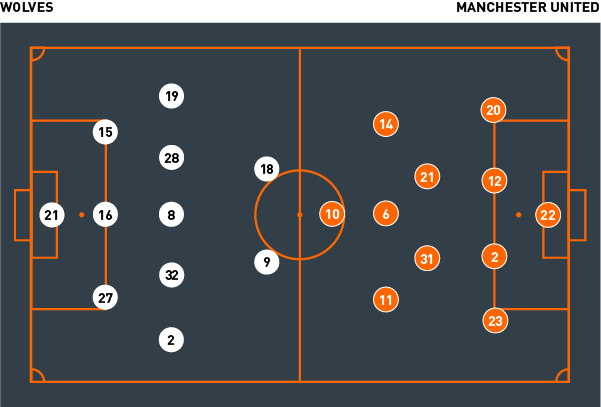 Wolverhampton Wanderers set up in a 3-5-2 formation in possession, with wing-backs Jonny and Matt Doherty often pushed extremely high. 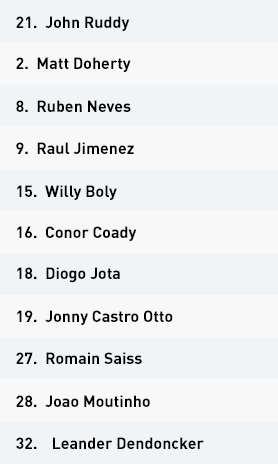 Raul Jimenez operated as the hosts’ highest central attacker, with Diogo Jota frequently moving towards the ball and combining within the left inside channel. 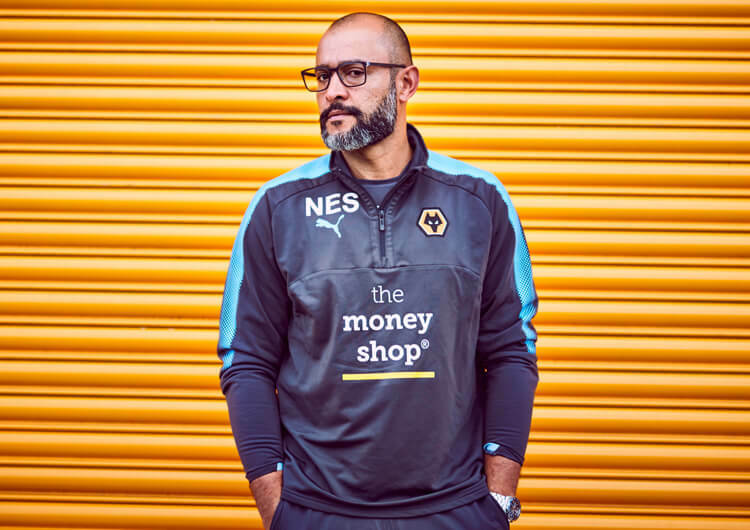 One of the three central midfielders – usually Joao Moutinho or Ruben Neves – dropped deeper to support the back three during the Wolves build. With Manchester United converting into a front three when out of possession, this ensured the hosts had security after a loss of possession as well as an overload to build patiently into midfield. With only two central midfielders ahead of the ball, Jota’s dropping movements became a crucial feature in the Wolves attack. The Portuguese attacker’s ability to turn and connect with the front line became a major attacking threat, particularly as his runs often went untracked. United soon narrowed to congest any central play, which opened up spaces in the wider areas for the wing-backs to provide early crosses. In truth, the visitors’ back line dealt with these well and were only really exposed once, by a Wolves counter-attack from a United corner. Leander Dendoncker found Jota’s run in behind with an excellent pass, but goalkeeper Sergio Romero stood firm in the resulting one-on-one. The hosts signalled their attacking intent early in the second half, when Jimenez’s header from a corner was tipped on to the crossbar by Romero. They continued to look wide against United’s consistently narrow block, and it was from a mazy Moutinho dribble from the left that Jimenez eventually spun and shot through a crowd of bodies to earn Wolves the lead. A second followed on the counter within minutes, as Luke Shaw failed to deal with Neves’ ball forward and Jota pounced to strike low and hard past Romero. With the visitors now having to chase the game, any long clearance or ball forward represented a threat for Wolves as they looked to see out the game. Without the ball, Nuno Espirito Santo’s men utilised a 5-3-2 mid-block, with both wing-backs dropping into the back line. The midfield trio of Neves, Moutinho and Dendoncker blocked off any access into the visitors’ front line, with the two wider midfielders often stepping forward to press United’s deeper double pivot of Nemanja Matic and Ander Herrera. This created some issues within the inside lanes, however, as both wing-backs aggressively marked United’s wider attackers. Should a member of the United back line step forward with the ball, they could now connect with Jesse Lingard and Marcus Rashford between the lines. Jimenez remained the key focal point during Wolves’ transitional play, while Jota’s recovery runs assisted the central midfield. Pressing from behind the ball – especially when Lingard moved towards the ball – helped nullify any central overload, as United temporarily created a four-on-three advantage. Jimenez was often disconnected with his deeper teammates after a regain, however, mostly as a result of Matic’s exemplary screening. In the second half, the quality of Wolves’ recovery runs ensured United had very few chances to break using their split strikers. With Neves or Moutinho continuing to drop back, the hosts formed an immediate back four that killed any potential counter-attacks. Once into their more familiar 5-3-2 low block, their compactness around the ball in the central lane consistently forced the ball wide – from where their powerful back line had the aerial dominance to deal with any crosses. 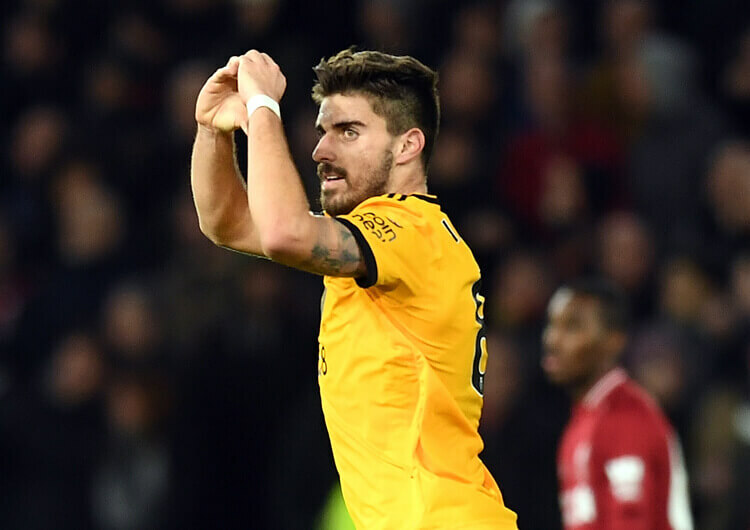 They did concede very late on, from Rashford’s close-range effort, but Wolves were deserved winners and added United to the scalp of Liverpool they had already taken in the third round. 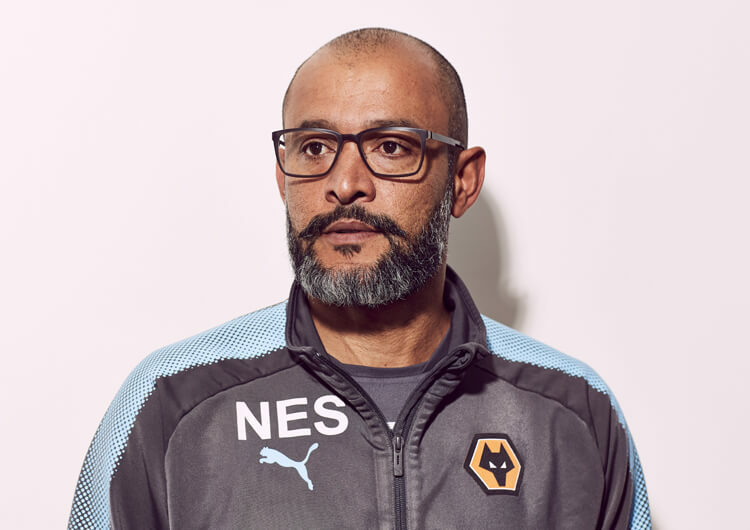 Wolves attacked in a 3-5-2 formation, with one of Ruben Neves or Joao Moutinho dropping back to assist the build against a Manchester United front three. Diogo Jota then dropped towards the ball, to provide a link between midfield and attack. The hosts dropped into a 5-3-2 shape off the ball, with the midfield trio set up to block off central access. 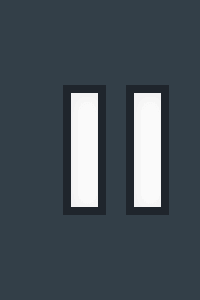 This opened up the inside channels, with both wing-backs occupied with United’s higher full-backs. Until Wolves made use of wing-backs Jonny and Matt Doherty, they were restricted to ineffective attempts from long range. Eventually, crosses from wide penetrated around United’s central block – one such move led to their opening goal. Manchester United initially set up in a 4-2-3-1 formation, with Anthony Martial and Jesse Lingard supporting Marcus Rashford from out wide. 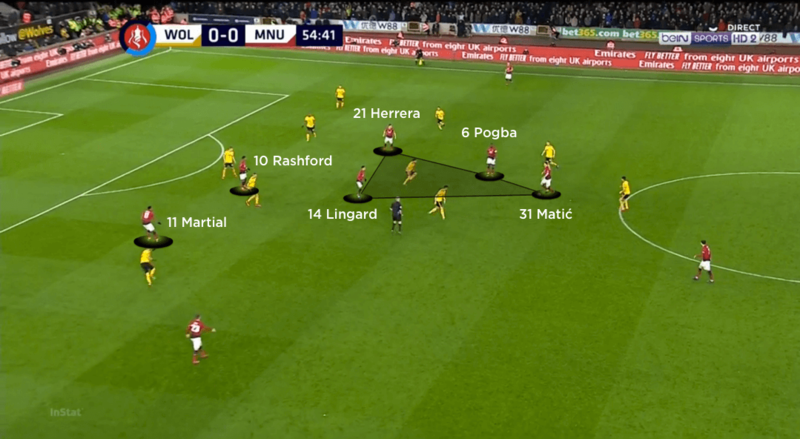 This changed in the first half, however, with the full-backs pushed up to provide width; Lingard dropped towards the ball in a central midfield box, while Martial moved inside to join Rashford. The visitors used a 4-3-3 defensive mid-block, which alternated into a 4-3-1-2 when in a lower block. 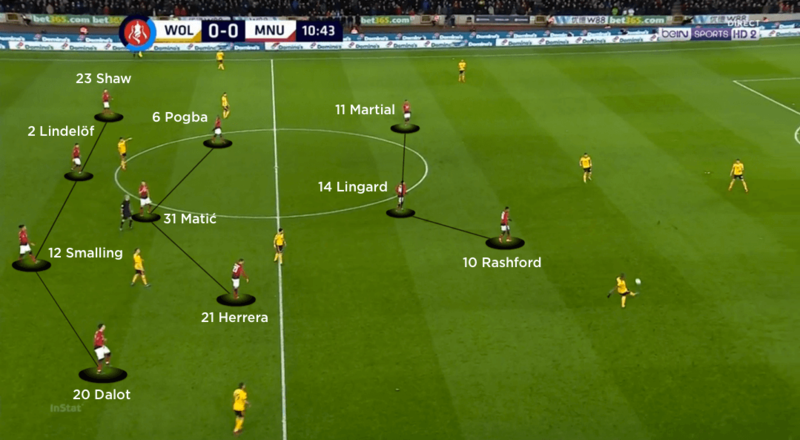 Rashford and Martial moved wider as split-strikers, ready to counter-attack around the sides of Wolves’ back line. United’s central midfield narrowed in the second period, but lacked the quality of combination to play through Wolves’ deepening block. 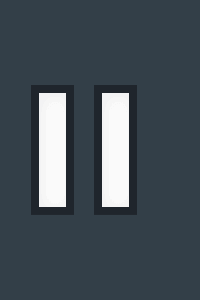 Any subsequent crosses from out wide lacked aerial targets against a powerful back line. Ole Gunnar Solskjaer set Manchester United up in a 4-2-3-1 formation in possession, with Anthony Martial moved to a wide left role from a central starting position. Marcus Rashford then became the lone central forward in front of a central midfield box. Ander Herrera and Nemanja Matic formed the deeper foundations, with Jesse Lingard and Paul Pogba the two advanced midfielders. The focus was to the left, however, as Pogba began in the inside left channel, linking with Martial and left-back Luke Shaw. Lingard remained central, as United looked to stretch the hosts’ central midfield trio by pushing Diogo Dalot high on the right. This build-up often resembled a midfield diamond, with Lingard now supporting with runs in behind; Herrera moved across to cover the transition, should Wolves exploit Dalot’s higher positioning. With the home central midfield trio unable to block off both the inside channels and the central lane at the same time, United looked to switch the play quickly from one side to the other. 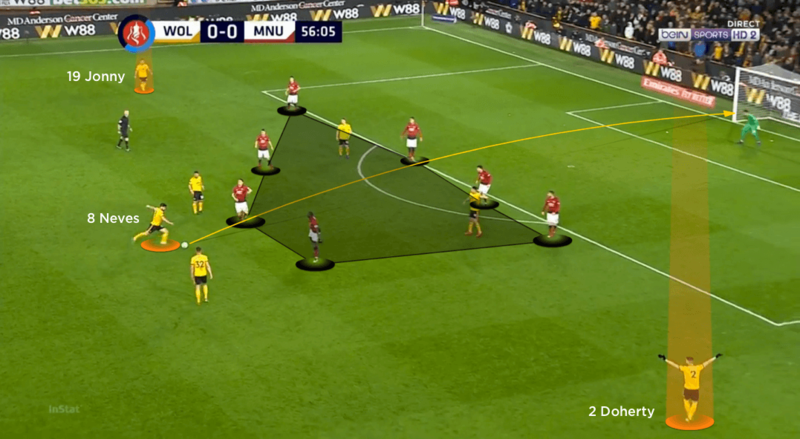 Forward movements from the back line into the inside channels created opportunities for passes out to wide runners – Dalot, Shaw, Martial – or forward for central attackers Lingard and Rashford. This led to a strong spell before the interval, although the visitors were unable to convert chances into goals. In the second half, United lacked penetration against Wolves’ compact central shape. 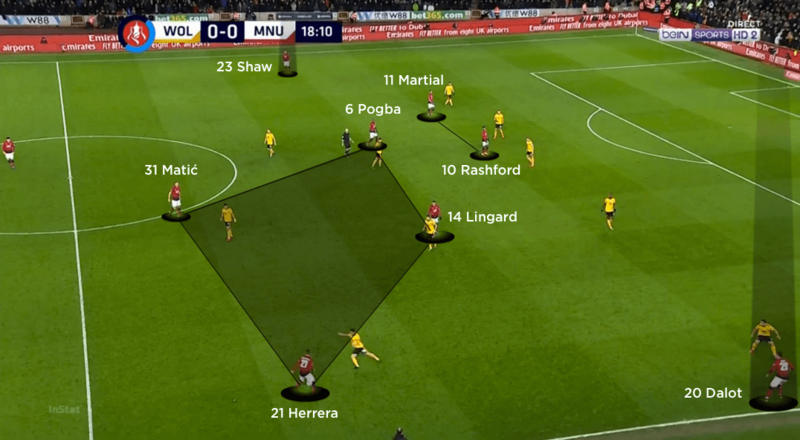 Wider combinations between Shaw and Martial often progressed the ball into the final third, but they lacked any threat from crosses, with central runners overloaded and the front line lacking any aerial presence. Rashford did grab a late consolation when he turned home Shaw’s cross, but there was no time to mount further attacks as the visitors missed out on a place in the FA Cup semi finals. Out of possession, United used a 4-3-1-2 structure that often converted into a flat 4-3-3. 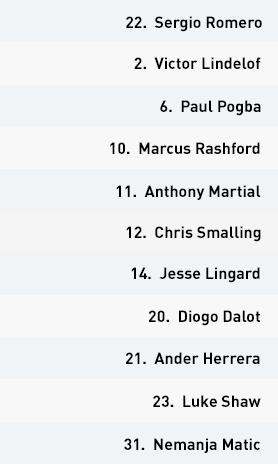 Lingard became the central attacker within the visitors’ first line of pressure, occasionally dropping back behind split strikers Martial and Lingard. From here, the front two positioned themselves outside Wolves’ back three, offering direct runs and attacks around the sides of the back line in transition. Matic’s screening of direct balls into Raul Jimenez was central to United’s early dominance of possession. Eventually Wolves secured longer spells of possession, which only grew as rotations within central midfield overloaded the away side’s converted front three. This numerical advantage allowed the home side to build more slowly and patiently, with United content in their mid-block.  With Diogo Jota’s subsequent movements into midfield difficult to track, the visitors narrowed to reduce his attacking input. 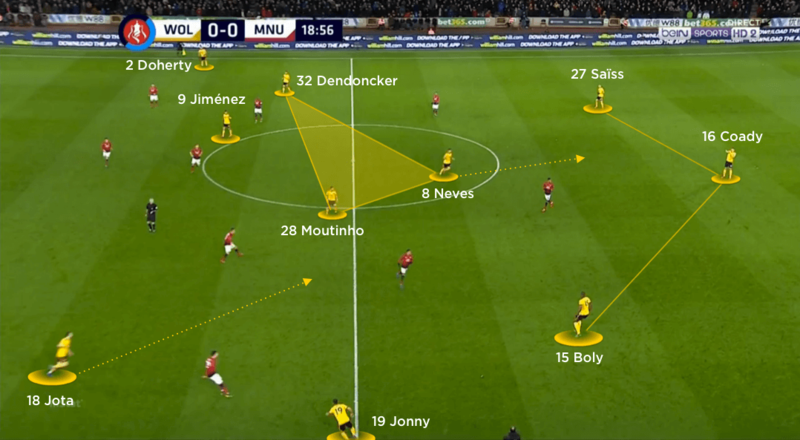 This created space in wide areas for the Wolves wing-backs in particular to exploit, with Jimenez and supporting runners from midfield offering targets in the United area. 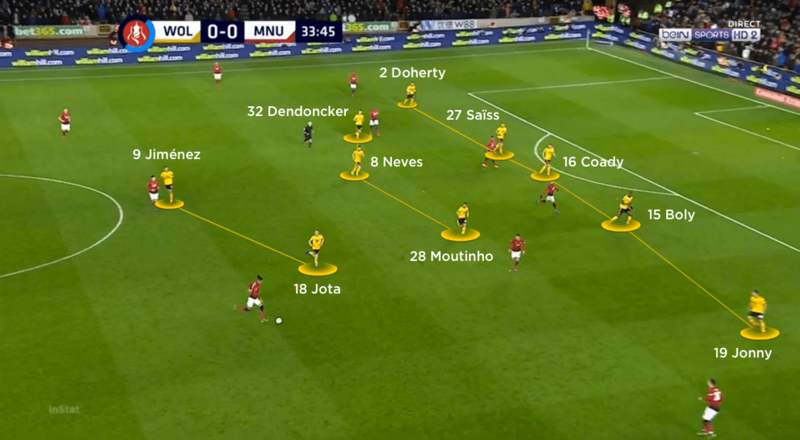 Unfortunately for Solskjaer’s men, it was from wide on the left that Moutinho created the Wolves opener for Jimenez midway through the second half, with poor defending from Shaw in transition leading to Jota’s second soon after. A second straight defeat for the first time under the Norwegian does not bode well, with a Champions League tie against Barcelona looming next month.